The world is full of incredibly beautiful places and often you don’t have to go far, to take a picture of some stunning scenery. 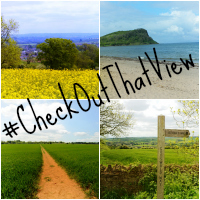 Every Sunday, you are invited to join in with the #CheckOutThatView blog linkup. Simply blog a photo you’ve taken, which shows some scenery you want the world to see. Whether you write a post or just post the photo, is entirely up to you. Grab the badge, using the code below. Share the blog love by popping along and commenting on at least two other blogs who have linked up. Don’t forget to shout about your post, by adding the hashtag #CheckOutThatView on Twitter – I will Re-Tweet them all! will need to look for ore of these, found your link through Coombe Mill this week.